This page is about TB & HIV in South Africa leading up to 2017. It is about AIDS denialism and the Treatment Action Campaign. For TB in South Africa after 2017 see TB in South Africa and for HIV see HIV in South Africa. TB was first identified in South Africa as long ago as the seventeenth century. It is however unclear exactly when TB began to spread so quickly that it became of epidemic proportions but the years between 1895 and 1910 seem to have been critical. In 1919 TB was made a notifiable disease throughout the entire country. By contrast HIV and AIDS were first identified in South Africa in gay men around the 1980s. By the late 1980s doctors had begun to warn of a significant HIV and AIDS epidemic and the first heterosexual AIDS cases were diagnosed in late 1987. The need for a community based HIV & AIDS program was first publicly acknowledged in 1990. In 1996 at the international AIDS conference South Africans learnt that for those that could afford the costly antiretroviral drugs AIDS could be a chronic manageable disease. But although the first ARVs started to reach South Africa just a few months later, for those without the necessary money nothing had changed. Indeed when in 1999 Thabo Mbeki was elected president the situation in South Africa became worse with the arrival of “AIDS denialism”. What is the Treatment Action Campaign (TAC)? TAC was founded in 1998 by Zachie Achmat. The original main objectives of TAC were to campaign for equitable and affordable access to antiretroviral treatment for people living with HIV/AIDS, to promote quality health care and to campaign for a health system that provides equal treatment for all people in South Africa. At the time TAC started the cost of antiretrovirals were very high and only people in the private health care sector could afford the treatment. Many people were dying because they could not afford to pay for HIV treatment and many of these deaths could have been prevented.3"Treatment Action Campaign", http://www.populareducation.co.za/content/treatment-action-campaign-tac. 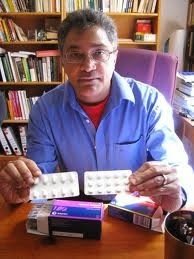 Zackie Achmat publicly announced his HIV positive status in 1998. He refused to take antiretroviral drugs until all who needed them had access to them. He finally announced that he would start treatment in 2003 shortly before the South African government announced that it would make antiretrovirals available in the public sector. In 2007 President Zuma took over the presidency of the ANC and AIDS denialism mainly came to an end. The position of the ANC changed to one where they supported the use of antiretroviral drugs in South Africa. South Africa started to develop what was to become the largest HIV & ARV treatment program in the world. "denial, lack of political will, and poor implementation of policies and programmes"
By 2011 the HIV epidemic in South Africa had stabilised but at a very high level with a national antenatal prevalence rate of around 30%. South Africa was also ranked the third highest in the world in terms of TB burden with an incidence that had increased by 400% over the previous 15 years. There had however by the end of this period been some notable achievements in the development of TB and HIV control. By 2011 1.4 million people with HIV had started taking antiretroviral treatment, 250,000 men had undergone medical male circumcision and AIDS denialism had mainly come to an end. There had been an improvement in TB case detection and there had also been a rapid scale up of faster TB and MDR TB diagnosis. When it came to the next five year plan there was no separate plan for TB, but rather one plan to cover HIV and all STIs as well as TB. The aim was to particularly improve prevention efforts for both TB & HIV. To reduce by at least 50% the self reported stigma related to HIV & TB. The period of this strategic plan saw a considerable reduction in new cases of both TB and HIV. The decrease in incidence did not though reach the 50% target set in the NSP. 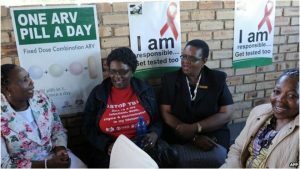 The reduction in new HIV cases was mainly due to the fact that large number of people living with HIV were no longer infectious due to the fact that they were receiving ARV therapy. It was considered by some people that during this five year period South Africa “turned a corner” in relation to TB. Pro-active identification of TB was introduced. TB testing with GeneXpert was introduced countrywide meaning that results were available within a couple of hours. There was also better detection of TB among people living with HIV. "We need to give TB and indeed sexually transmitted diseases the same attention that we give to HIV". Deaths due to HIV had dropped from 681,434 in 2006 to an estimated 150,375 in 2016. Deaths due to TB had dropped from 69,916 in 2009 to 37,878 in 2015. The number of new HIV and TB infections had fallen and a higher proportion of people living with these infections had been diagnosed and treated. But in 2016 an estimated 270,000 people became newly infected with HIV, and the 2015 estimate of new TB cases was 450,000. We have made major gains in terms of treating millions of people living with HIV & TB, slashing the death toll due to these infections, and reducing the number of new infections. However, there is still a great deal to be done. The approach taken in this latest National Strategic Plan is to intensify efforts in the geographic areas that are most affected. In addition the highest impact interventions are to be used in these areas. There is very little mention of drug resistant TB. There is though a very ambitious target that the treatment of drug resistant TB in South Africa should be 75% successful.